Trusting Him to provide for all my needs. Oooo, Lord I want that. I desire to have that. Renew in me a steadfast spirit. A steadfast, quiet, still and faithful spirit. Unsnare me from every entanglement. Guard and protect me from distracting thorns. Remove every idol, every false god. Carry me in Your wisdom. 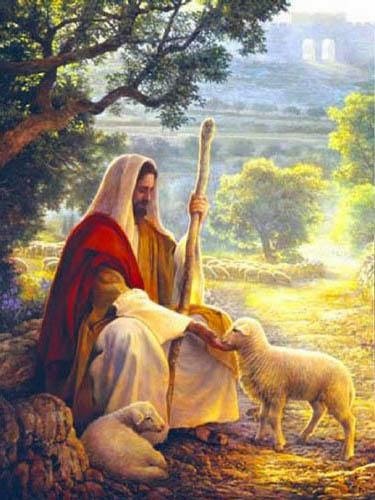 Yes, the Lord is my Shepherd. Choosing to surrender, to give. Leaning not on my own understanding. Believing that He is trustworthy. Knowing that The Lord's Way is good. Cultivating my faith by clinging to His promises. In Him... I am joyful. With Him... I am peaceful. To Him... I am prayerful.